Easter is fast approaching. For followers of Christ it is a most amazing time to remember all that He has bought for us on the Cross and the supernatural life that is now ours because of His great sacrifice! Share the life changing truth and love of Jesus with your children this Easter with these special resources. This beautiful book tells the story of Much-Afraid and her journey to the High Places with the Shepherd. 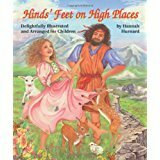 Filled with exciting adventure and a triumphant conclusion, this story will teach your child the importance of following the Shepherd. 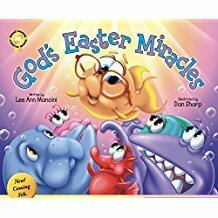 In God's Easter Miracles, the sea kids learn that Easter isn't about the Easter bunny or candy. It's about Jesus Christ giving up His life for all of us, and how we are to sacrifice ourselves for others. A true lesson of becoming more like Jesus is learned in this beautiful Easter story of love and grace. 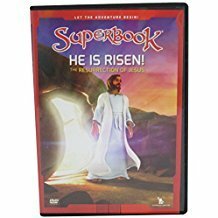 In “He Is Risen” Superbook intervenes and in a very special episode, takes Chris, Joy, Gizmo AND Phoebe back in time, for an encounter with Jesus' mother Mary during the time of her son's crucifixion.